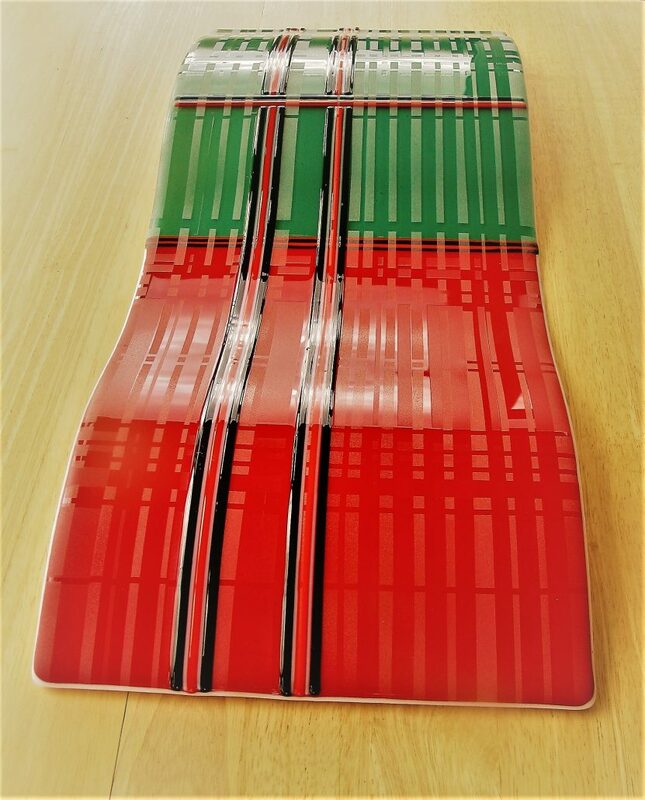 Example of a fused glass wall panel, slumped and sandblasted to emulate a tartan blanket. 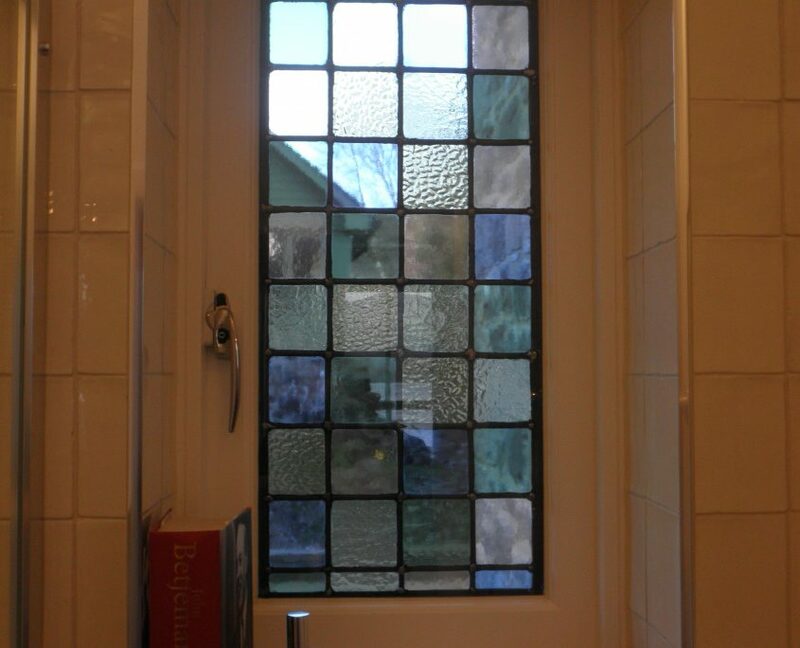 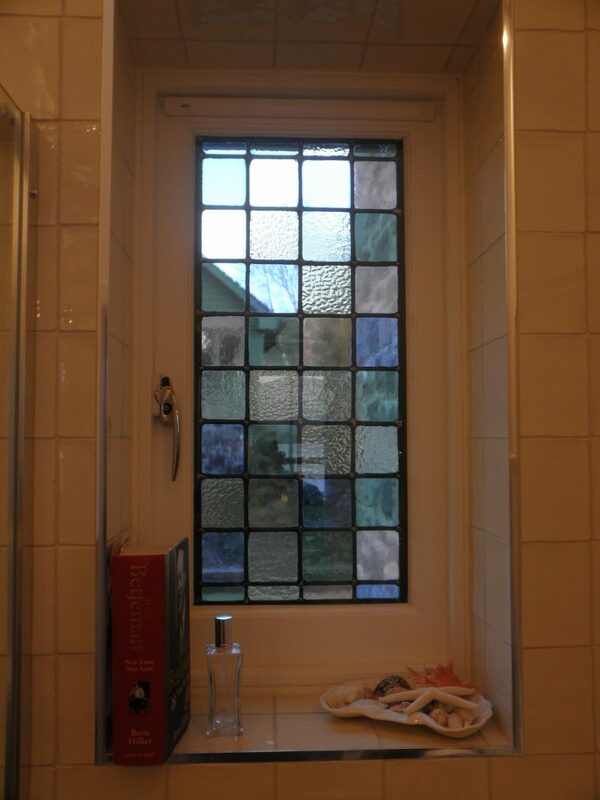 Commissioned stained glass windows for a shower room, private residence Morvern, Scotland. 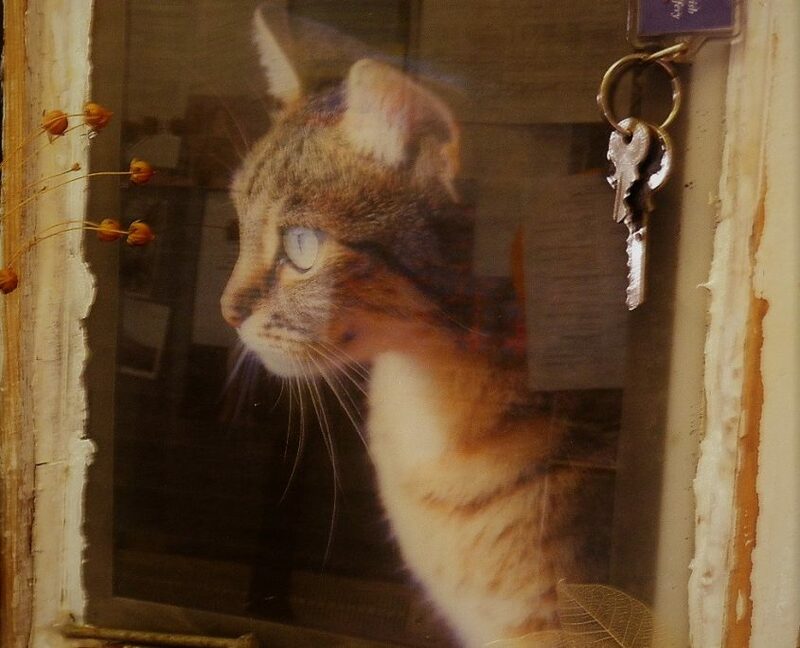 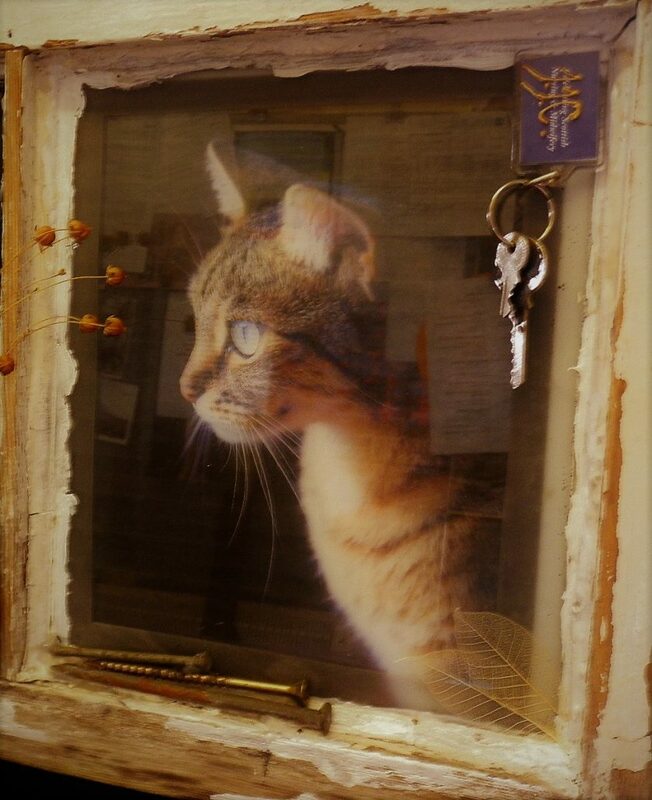 Example of a window panel using a photographic image and incorporated into an old croft house window frame. 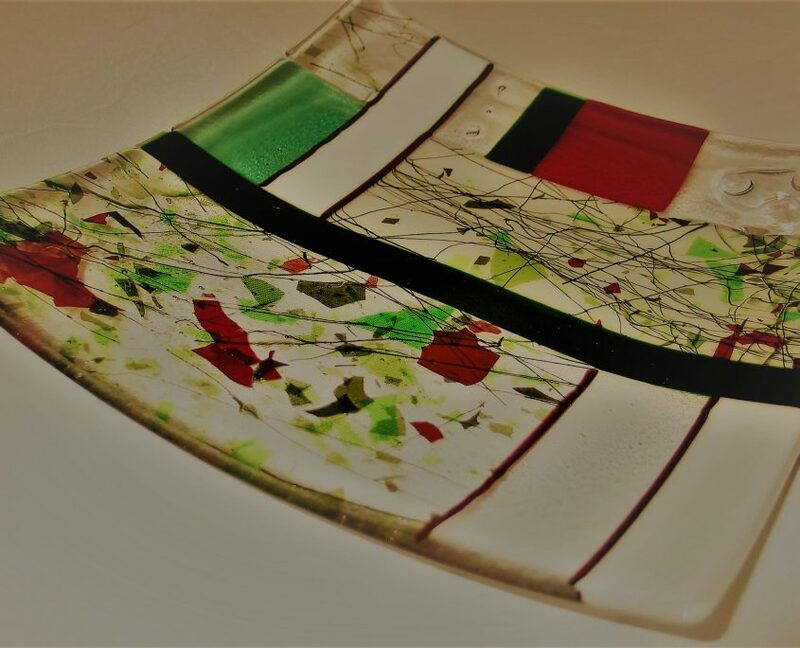 Commissioned commemorative platter with deer head. 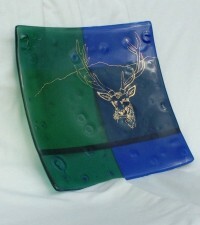 Deer head inscribed in gold onto green/blue platter. 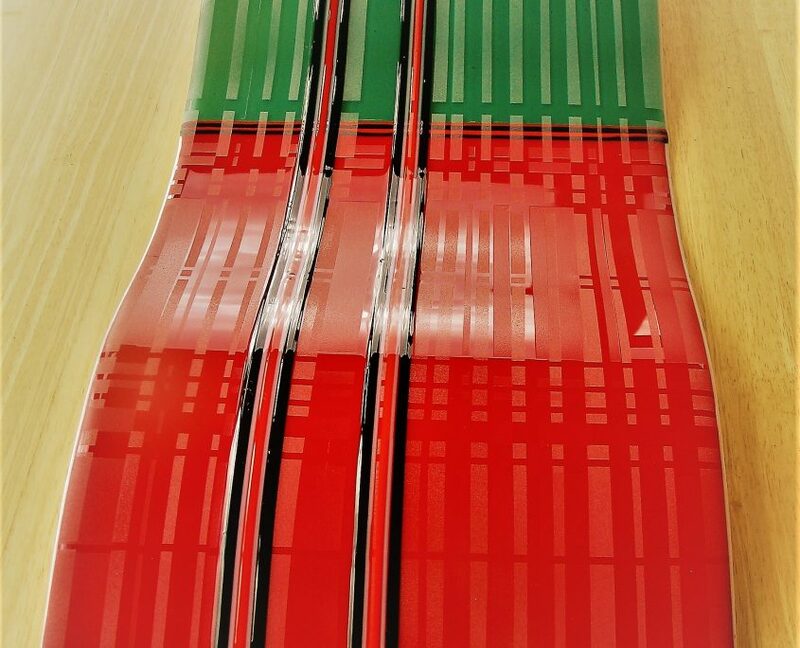 What is Fused Glass ? 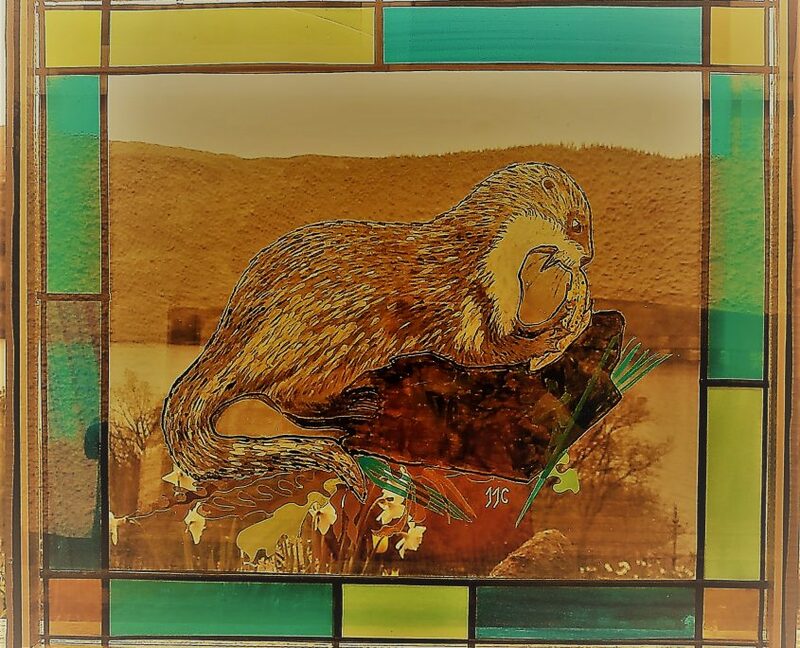 What is Glass Art ? 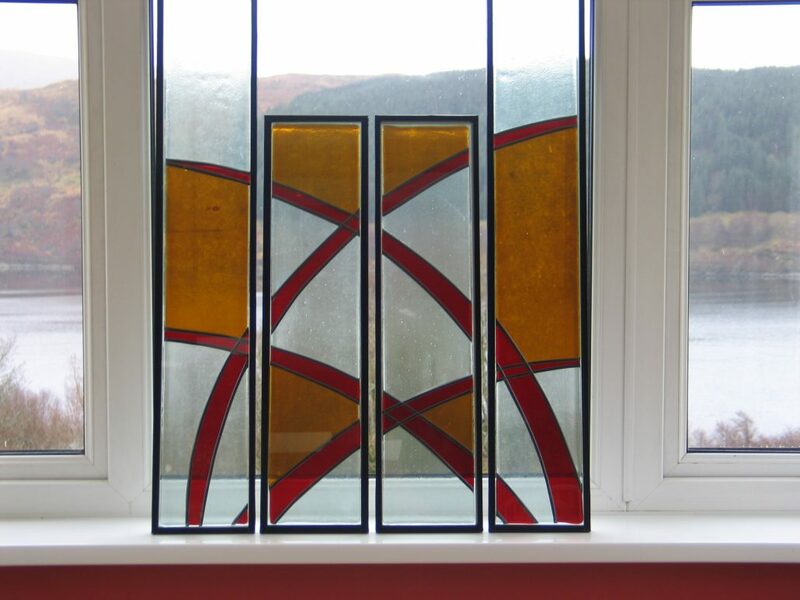 Glass Art can encompass many different ways of working with glass. 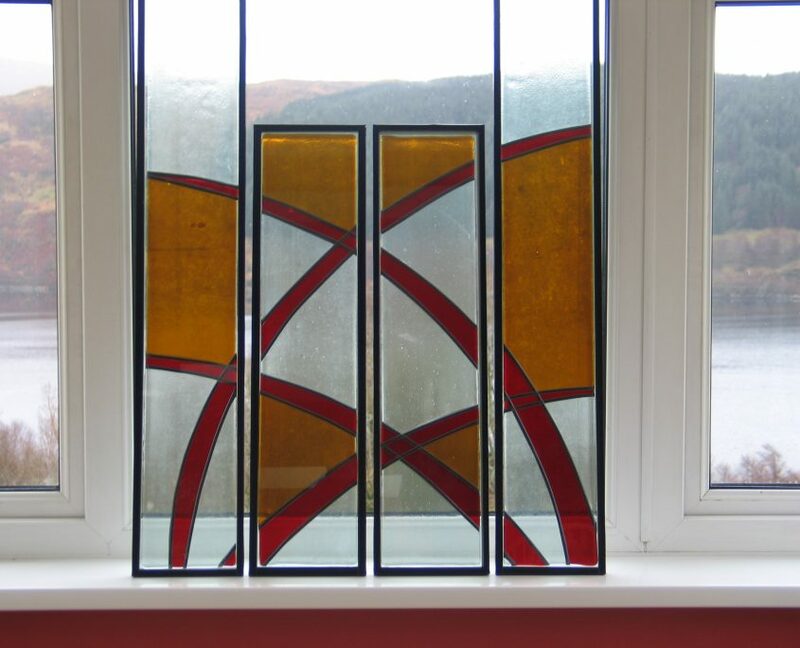 Stained Glass is the most obvious, but glass can be fused, cold worked i.e engraved, sandblasted or moulded, painted and manipulated in heat to form many fascinating objects both functional or decorative. 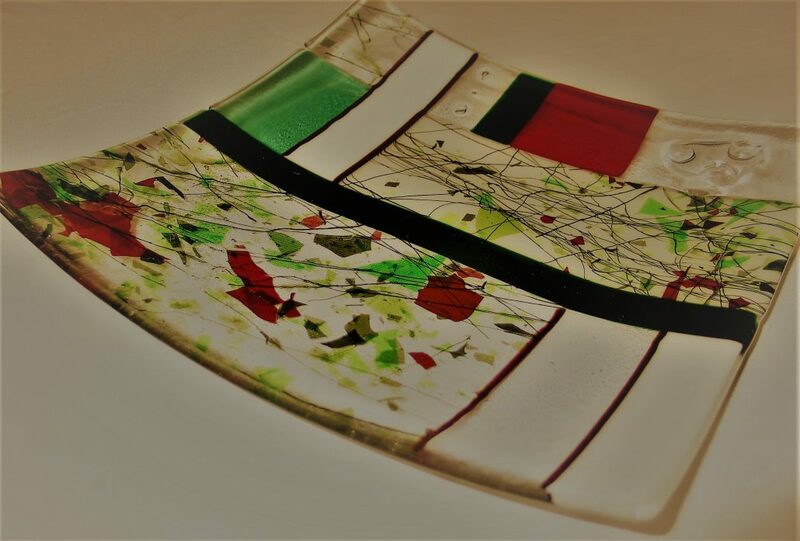 Glass fused in a kiln at high temperatures goes from solid to fluid and back to solid again, allowing the artist to manipulate and produce bespoke works which can have design elements added or included according to the customer’s own colour palate requirements or wishes.